Last week, the United States District Court for the Eastern District of Texas issued a decision enjoining the Department of Labor (DOL) from enforcing its new overtime rules. State of Nevada et al. v. U.S. Department of Labor et al., case number 16-cv-00731. The new overtime rules were set to go into effect on December 1, 2016, causing many companies to scramble to adjust their compensation systems in compliance with the new minimum salary threshold for administrative, executive, and professional exemptions, which was going to jump from $23,660 per year to $47,476 per year on December 1st. The court’s injunction requested in early October in two parallel cases filed by business organizations and 20 states, enjoins the Department of Labor from enforcing the new overtime rules. Takeaway: In light of this injunction, businesses who are not in compliance with the DOL new overtime rules, are not going to be in trouble come December 1, 2016. However, since this is a temporary injunction, employers are not 100% in the clear, as the court may still enforce the rules when the final hearing in the cases takes place. Thus, the injunction grants a temporary reprieve, but companies should continue to monitor the situation, which may last anywhere from several months to several years. Bottom line is that the injunction will remain in effect until a final resolution of the merits is reached or there is further order of the court, the Fifth Circuit, or the United States Supreme Court. While the minimum wage in Texas will remain the same in 2016, those Texas companies that have employees in other states, need to be aware of the following minimum wage (and overtime) increases. * Given the recent increase in unpaid overtime lawsuits around the country, companies should be extremely vigilant in ensuring that their employees get paid a proper minimum wage and overtime. 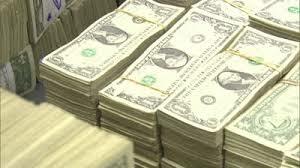 Alaska – Minimum wage increases from $8.75 to $9.75 an hour. Minimum weekly salary for bona fide executive, professional, and administrative employees will increase from $700 to $780 per week (i.e., two times state minimum wage for the first 40 hours of employment). Arkansas – Minimum wage increases from $7.50 to $8.00 an hour. Minimum wage for tipped employees remains $2.63. California – Minimum wage increases from $9.00 to $10.00 an hour. Minimum annual salary for bona fide executive, professional, and administrative employees will increase from $37,440 to $41,600 (i.e., two times state minimum wage for the first 40 hours of employment each week). Colorado – Minimum wage increases from $8.23 to $8.31 an hour. Minimum wage for tipped employees increases from $5.21 to $5.29 an hour. Connecticut – Minimum wage increases from $9.15 to $9.60 an hour. Minimum wage for tipped bartenders increases from $7.46 to $7.82 an hour and minimum wage for hotel and restaurant tipped employees other than bartenders increases from $5.78 to $6.07 an hour. Hawaii – Minimum wage increases from $7.75 to $8.50 an hour. Adjusted minimum wage for tipped employees increases from $7.25 to $7.75 an hour, provided that when tips are added to the wages paid by the employer, the total amount is no less than $15.50 per hour. Massachusetts – Minimum wage increases from $9.00 to $10.00 an hour. Minimum wage for tipped employees increases from $3.00 to $3.35 an hour. Michigan – Minimum wage increases from $8.15 to $8.50 an hour. Minimum wage for tipped employees increases from $3.10 to $3.23 an hour. Nebraska – Minimum wage increases from $8.00 to $9.00 an hour. New York – Minimum wage increases from $8.75 to $9.00 an hour. Subject to caveats outside the hospitality industry, the minimum wage for all tipped employees will increase to $7.50 an hour. The minimum weekly salary for bona fide executive and administrative employees will increase from $656.25 to $675 per week. Rhode Island – Minimum wage increases from $9.00 to $9.60 an hour. Minimum wage for tipped employees increases from $2.89 to $3.39 an hour. South Dakota – Minimum wage increases from $8.50 to $8.55 an hour. Minimum wage for tipped employees increases from $4.25 to $4.28 an hour. Vermont – Minimum wage increases from $9.15 to $9.60 an hour. Minimum wage for tipped employees increases from $4.58 to $4.80 an hour. West Virginia – Minimum wage increases from $8.00 to $8.75 an hour. Minimum wage for tipped employees increases from $2.40 to $2.62 an hour. * This is not a complete list of all geographic areas around the country that increased the minimum wage floor in 2016. Please consult with an attorney regarding specific locations outside of Texas where your company has employees to determine whether their compensation complies with all the applicable state and local laws. 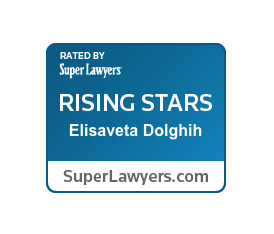 Leiza Dolghih represents both COMPANIES and EMPLOYEES in employment litigation and arbitration proceedings. If you are facing an actual or a potential employment dispute, contact Ms. Dolghih for a confidential consultation at Leiza.Dolghih@lewisbrisbois.com or (214) 722-7108.